Old coins that is. Try looking under that old dresser, or up the attic where grandma or grandpa’s things may be stashed away patiently waiting for you to discover them. Who knows, you might find a coin there, an old coin that – at today’s rate - may be worth a few dollars; probably three or four or five, even ten times what the coin was worth back then. Fortunately or unfortunately, there was a shortage of copper during the year 1943 and all pennies made at that time were minted using steel. There were however, some Lincoln pennies that were incorrectly minted on bronze that turned out to be blanks. A few years – or decades later -these bronze pennies became a rarity and are valuable. The steel ones though, because of their commonality, are worth only between one to three dollars each. Be aware and be wary as there are schemes where gullible coin collectors are sold coins that are copper plated in an attempt to make these pennies appear to be bronze. Also, keep your guard up anytime someone offers you a circa 1943 penny made out of a metallic white alloy. Coins, specifically the silver dollars made and circulated between the years 1878 and 1935, are worth between twelve dollars and twenty five dollars for the circulated coins. The coins that were not in circulation are worth considerably more. 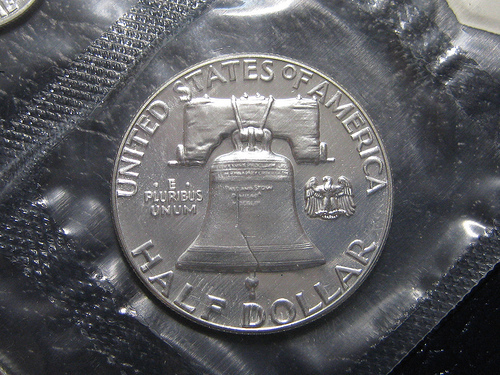 Meantime, those quarters, dimes, or half dollar coins made and circulated prior to 1965, are usually made out of ninety percent silver and therefore worth as much as today’s silver (with an additional premium, albeit small, put on the coin’s face value). There is a Lincoln penny issued in 1972 on which the date and the letters on it appear to have been doubled. This rare coin is currently worth about sixty dollars, assuming the pennies are in standard condition. The Philadelphia Mint during that time period accidentally misaligned the die used in minting the coins causing the portrait of Lincoln to look like it was doubled. Fortunately or unfortunately, eighty thousand of these were circulated before the error was discovered. In summary, coin collecting is similar to collecting bits of history and trivia from the past. In addition to the face value its worth as a treasure - pennies, dimes and coins – often are worth more in the long run.